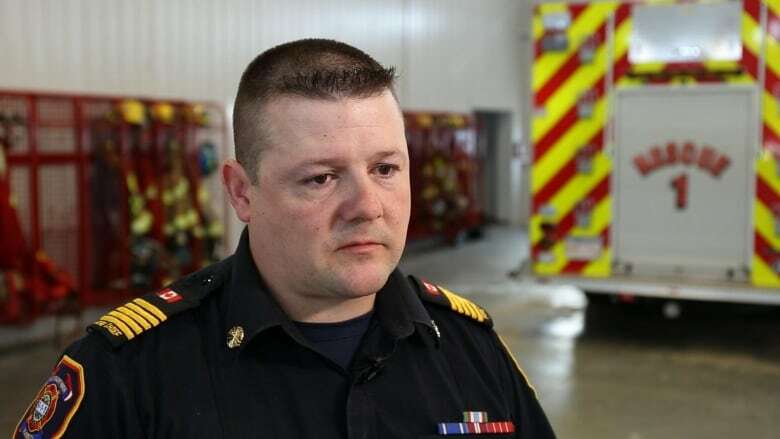 A fire chief in northern Alberta is speaking out about mental health problems among first responders to help his crew recognize the symptoms in themselves and each other. When Marcel Maure's grandmother suffered a fatal heart attack three months ago, he was among the firefighters who tried to save her. The fire chief for the Municipal District of Smoky River says it's one of many calls in his 18 years as a first responder he can't shake. "You can never forget something like that," Maure said. Maure was born and raised in the northern Alberta district and has known most of its 37 volunteer firefighters since childhood. He has led the team — which includes some of his former classmates, coworkers and school teachers — since 2015, as the district's only full-time firefighter. The fire station overlooks a stretch of fields near the small town of Falher, Alta., about 170 kilometres northeast of Grande Prairie. "We grew up here," Maure said. "We may get less calls here, but 95 per cent of the time we know the people who we're working with. "You get to see people in car accidents, people who have heart attacks, people at their worst and being that they're family members sometimes, it touches you in a different way." Without the same access to support as full-time city crews, volunteer firefighters in rural Alberta are vulnerable to stress-related mental health conditions, including post-traumatic stress disorder, he said. "The problem is, they come here and everybody does what they have to do and then everybody wants to go home," Maure said. "The firefighters here only get to see me when they're around, so if there is a problem there's not a source right away to talk to." Maure has personally experienced PTSD, developing symptoms over 15 years as a firefighter in the Canadian military, he said. Two years ago, he started seeing a therapist to cope with feelings of anxiety, fatigue and paranoia. "You see the stuff nobody should see on a regular basis," Maure said. "It does wear you down if it's something that's always in the back of your mind. It's a mental drain." Some of his former military firefighting colleagues haven't been able to overcome the trauma, he said. Last summer, he lost one of them to suicide. The thought of losing any of the firefighters in his tight-knit community to mental illness scares him, Maure said. "Just because you're not blood doesn't mean you're not family. To put your life in someone else's hands and trust that person and they trust you, is what we do. That's what family is," he said. "It's definitely not easy to lose a friend and I don't want to see it here." He's trying to protect his crew by talking openly about mental health conditions in first responders. Maure said he wants them to recognize the symptoms in themselves and in each other, before it's too late. "There's got to be ways to better cope with this and I want to help my people," he said. "If we seek proper channels and we get proper help, we can move forward." The Peace Regional Fire Chiefs association is considering developing a critical incident stress-management team for the region, Maure said. The organization, which is run by chief officers in northwest Alberta, offers hands-on training and seminars to Peace Country firefighters. ​Maure also invited Dean Young, a peace officer and community safety consultant from southern Alberta, to speak to his crew on March 3. Young wrote the book You Break It, You Buy It about his struggle with depression and anxiety, after responding to the 2011 Slave Lake fire as a peace officer. His symptoms worsened over years, Young told CBC News. He started meeting with a counsellor after the scene of a fatal car crash triggered a panic attack. "I had the absolute strongest response to that particular situation," Young said. "I couldn't talk without crying. "I was just jamming that stuff down inside and, boy, when it came out, it really came out and it changed me," he added. "I used to burn like a flame. I was always motivated and I had a lot of energy and now I don't." 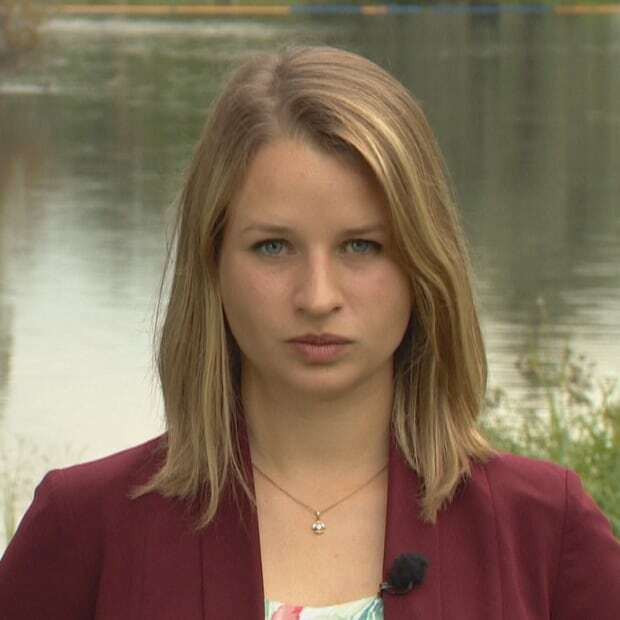 Young began touring rural Alberta last year, encouraging first responders to seek treatment when their mental health is suffering. "I want everyone to understand that there's a room full of peers ... who have not only seen what you've seen but have felt what you have felt and thought what you have thought. "You can certainly look at the guy next to you, look at the gal next to you in the truck and say, 'Look, I need to talk.' "
Young shares his personal story as an example of how the stress of working as a first responder can take its toll, if left unaddressed. "It just reaches out and grabs you around the throat," he said. "I just want to show that if you don't ask for help, this is where you could end up." Maure said he hopes Young's presentation will help Smoky Lake firefighters feel more comfortable asking for help when they need it. "If it's delivered in the proper manner, people will accept it and people will want to learn about it," Maure said about mental health conditions. "We all look tough on the outside but I guarantee you everyone has feelings." As fire chief, Maure said he can connect his firefighters with the resources they need — if he knows they need them in the first place. 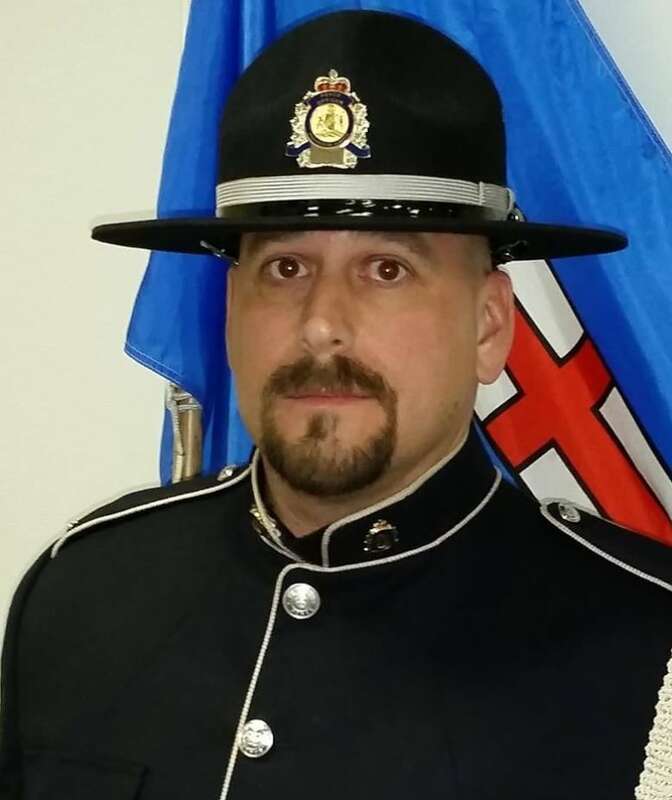 By speaking out, Maure said he wants to encourage first responders across Canada not to suffer in silence. "People see stuff they didn't ever want to see and you can't unsee it. Get the help. It's OK not to be OK. Just seek help."